Just as an andiron, or firedog (normally found in pairs), is a support on which logs are laid for burning, allowing air to circulate under the wood, facilitating better burn and less smoke, so the Dalmation Stone (often, and incorrectly, called Dalmation Jasper) acts as an “elevator” for the emotions. 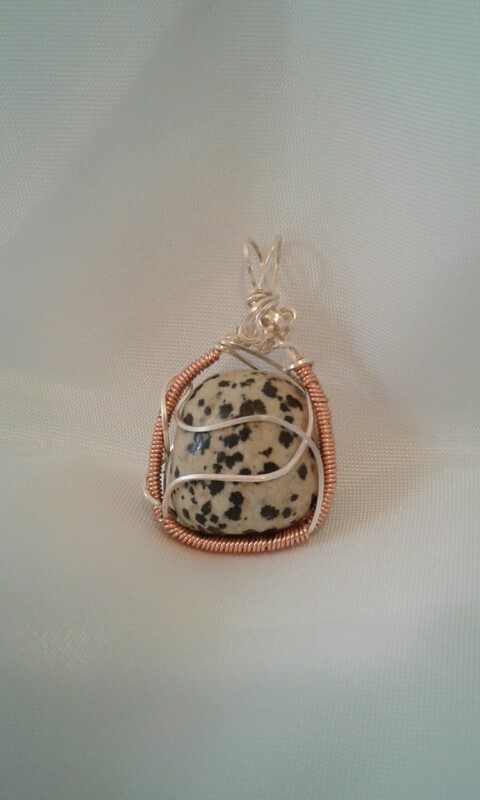 Dalmatian Jasper is just the stone you need when you want a pick-me-up. It helps us release our tendencies to over think or over analyze, and when you wear it your mood lifts immediately, enlivening the the spirit as well as dull situations. 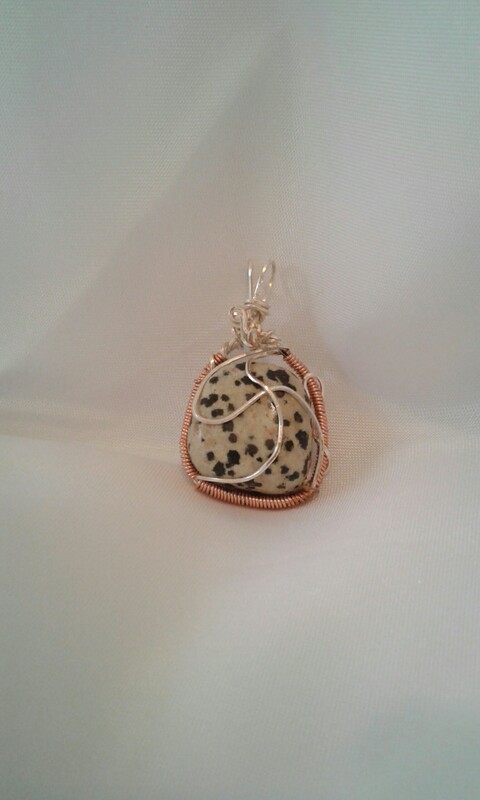 Not surprisingly, Dalamation Stone is also wonderful for those who work in the veterinary or animal fields. The specimen captured here measures 3/4 X 1 X 5/8″ thick, approximately, making the pendant a rough 1 X 1 1/2 X 5/8″. 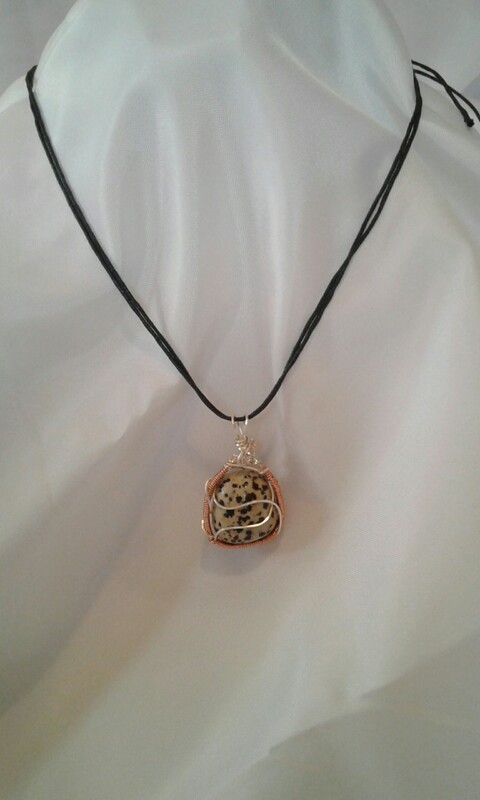 Wrapped in silver plate and copper, reversible, and can be suspended from almost any chain or cord, by anybody.